The problem of the precise provenance of manuscripts from Xinjiang entered into the European collections at the turn of 20th c. has become immensely important for contemporary Dunhuang studies. The first manuscripts brought to Russia from Xinjiang were on records in the Asiatic Museum (Institute of Oriental Manuscripts) RAS in Serindia collection (fund), with the places where they were bought or discovered being generally indicated. Mostly they are Buddhist manuscripts in Uighur, Sogdian, Manichean, Sanskrit; the Chinese texts came into the collection mostly by chance on their reverse sides. Whereas the Uighur and Sogdian manuscripts of the collection were studied and published by S.E. Malov and A.N. Ragoza in 1950-80s, the Chinese manuscripts still remain unpublished. 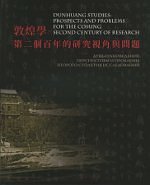 The paper presents the results of the preliminary study of the Chinese manuscripts from the Serindia collection. The total number of them amounts to c. 50, and the main part exists in very tiny fragments. Two more or less full documents (a deed of ownership and a report on the mortality of the government-owned oxen) are cited in the paper. On May 28, 2018, at the meeting of the Academic Council of the IOM RAS, leading researcher of the State Hermitage museum A. Pritula will submit his lecture HMML, the Largest Virtual Resource of the Near Eastern Manuscripts: an Attempt at Cataloguing and Study.